After 20 years as a musician Jerome transitioned to modeling, TV commercials and the Actor’s Institute. A speculative audition for Kennedy’s Children brought him to the attention of Emmy award winner, Charles Serio. After several years and numerous productions with the Serio Ensemble, he met and formed a continuing working relationship with director Craig McCall including award-winning projects for EMI Records and General Motors. 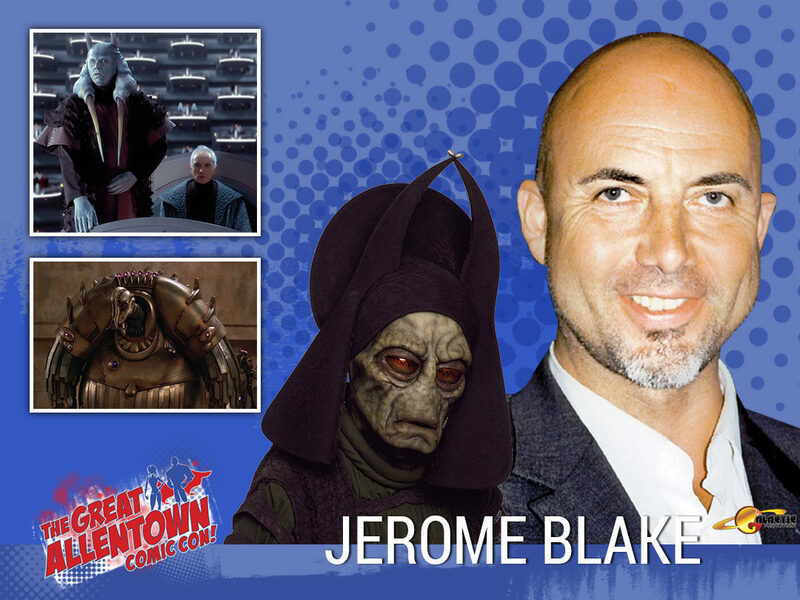 Jerome broke into feature films with First Knight, appearing as a member of the royal guard to Sean Connery’s King Arthur directed by Jerry Zucker. Next he worked with director Luc Besson on The Fifth Element where he played the Mondoshowan (Mondo) Kommander which heralded the start of a long involvement with creature-effects work that would later include all three of George Lucas’s Star Wars prequels; The Phantom Menace (I), Attack Of the Clones (II) and Revenge Of The Sith (III) in which he portrayed Rune Haako (I), Mas Amedda (I, II & III), Oppo Rancisis (I & II), Orn Free Taa (I), Graxol Kelvyyn (I), Horox Ryyder (I), Mik Regrap (I) and the feature film version of The Hitchhiker’s Guide To The Galaxy as Vogon directed by Garth Jennings. His most recent theatre work was appearing as Chief Bromden in One Flew Over The Cuckoo’s Nest opposite Christian Slater as R.P. McMurphy and his latest project is the interactive movie console game The Bunker.